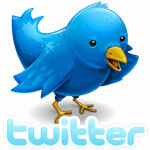 When Ama Waterways first opened in 2002 it was known as Amadeus Waterways, but changed names in 2008 to Ama Waterways. 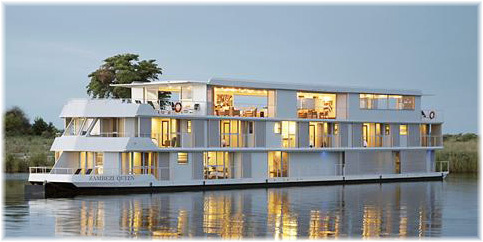 Meanwhile, Lüftner River Cruises has since adopted for itself the name Amadeus River Cruises. We have a look at both operators today. Meanwhile, with cruising booming worldwide, the Brazilian market has taken a tumble seeing passenger figures tumble as the number of passengers handled at Santos drops by more than 40%. Finally, Royal Caribbean is to return to New Orleans on 2018. Starting in 2006, the line introduced seventeen new deluxe riverboats to the rivers of Europe as well as two new boats on the Mekong and the Russian waterways. AMA has since abandoned Russia but is now active on Africa’s Zambesi River. The line also charters half a dozen vessels that operate on the Douro in Portugal and the Mekong and Irrawaddy in Southeast Asia. Ama Waterways’ newest ship is the 156-berth Ama Kristina, entering service this year with a crew of 50. The Ama Kristina is a sister to the Ama Viola, with Ama’s exclusive twin balconies available in staterooms measuring between 210 and 235 sq ft, with suites measuring 350 sq ft.
One of the line’s owners, which first invested in Amadeus Waterways in 2005, is APT of Melbourne, the Australian tour operator that has been in business since 1924. Lüftner River Cruises, on the other hand, was formed in 1997 by Wolfgang Lüftner, and now operates as Amadeus River Cruises. Amadeus operates ten ships, all with Amadeus names, on the Danube, the Rhine, the Seine, Rhone and Saone as well as the waterways of Belgium and the Netherlands. Its latest ship is the 140-berth Amadeus Provence, with a crew of 40 and staterooms ranging between 172 and 188 sq ft and suites of 284 sq ft, all larger than on earlier vessels. Next year, she will be joined by the 162-berth Amadeus Queen, which will cruise the Danube, Rhine and Main rivers as well as Dutch and Belgian waterways starting in the spring of 2018. As an aside, when AMA Waterways opened its own UK office in 2016, Fred. Olsen River Cruises, its previous UK agent, took on representation for Amadeus River Cruises right away, although as a river specialist it still sells Ama Waterways. 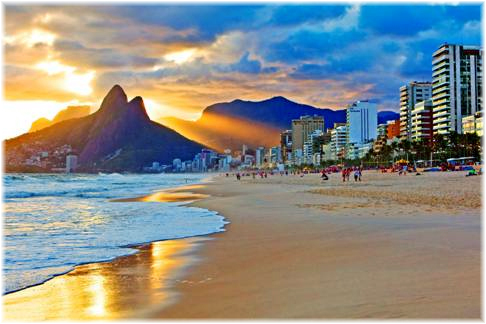 The last time we wrote in any detail about Brazil was in 2010, when it was a growing cruise market. 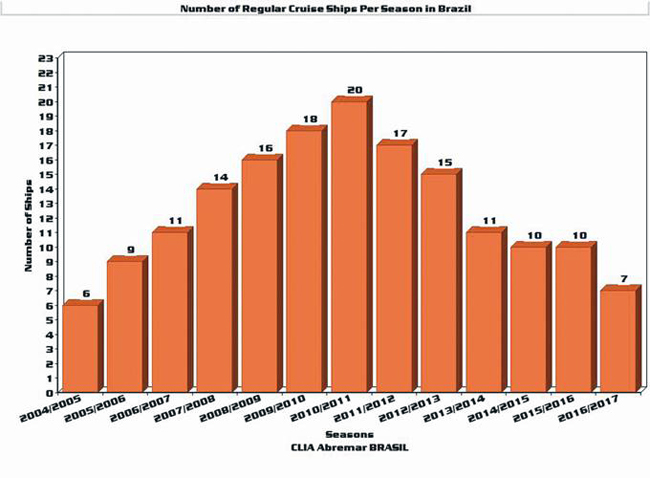 The Brazilian cruise market in 2008-09 numbered 502,000 and that winter eighteen ships offered berth capacity in excess of 900,000 with 405 cruises from Brazil. Cruise growth had averaged 33% annually over the previous eight years and estimates forecast that the market would grow to 1.5 million. With the 2014 World Cup and 2016 Olympics both scheduled for Brazil, the government was looking at building new cruise terminals in its most important ports. Besides Brazil’s own CVC, other important cruise operators actively offering cruises from Brazil included Costa, MSC, Pullmantur and then Louis (now Celestyal). 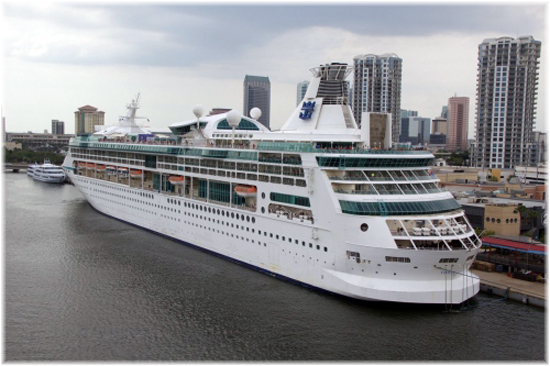 Royal Caribbean had opened an office in São Paulo in August 2009 and had the 1,800-berth Splendour of The Seas and the 2,000-berth Vision of the Seas based there, offering 3- to 8-night cruises from Santos. There have been quite a few changes in the Brazilian cruise trades over the past few years. 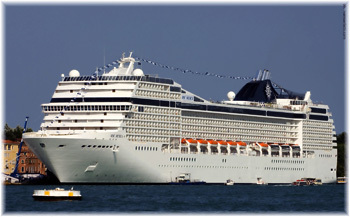 The 2010/2011 season was a record for ships on the Brazilian coast, with twenty cruise ships. Since then, this number has fallen year on year, and this season was the worst since 2004/2005, when only six cruise ships cruised from Brazil. Today, Brazil is still attracting cruise lines, such as Norwegian Cruise Line, which brought the 1,936-berth Norwegian Sun to Brazil for the first time in 2016/2017. However, these numbers do not bode well for the industry, with a drop of more than half in four years, with a staggering 54% decrease in the number of regular cruise ships on the Brazilian coast. In 2012, the season had fifteen ships, while this year there will be only seven, and the number of passengers boarding at Santos port will be 42% lower. In the face of the economic crisis, port infrastructure problems and the high cost of operating in Brazil, cruise lines have redirected their vessels to more competitive countries. Of the ships Brazil lost this year, two went to Cuba, the newest destination for many cruises, and one to China. In addition to the high tax burden and port charges (about 40% higher than anywhere else in the world), a major complaint is the low quality of port infrastructure. Fifteen ships utilised the Port of Santos passenger terminal this year. Of these, four are regulars, MSC Preziosa, MSC Musica, Costa Fascinosa and Sovereign. Another eleven ships only transited, one more than the last two seasons. Santos this year received four transit ships for the first time, including the Norwegian Sun, Crystal Serenity, Amadea and Fram. Last year, there were fifteen ships, eleven in transit and only four regular. Some 455,741 passengers were expected to travel through Santos (boarding, disembarking and in transit). Abremar, the Brazilian Association for Maritime Cruises, points to the high costs charged by Brazilian ports as one of the reasons for this drop. Italian-based MSC has reduced its stake from five ships last year, to only three. MSC says that this will only be “momentary,” as MSC’s newbuilding program will add eleven new ships to the fleet in the next few years. Cruise terminals have also received complaints from passengers, ranging from cleanliness to transport problems, with some docks being so remote as to need buses to take guests from the ships to the terminal proper. 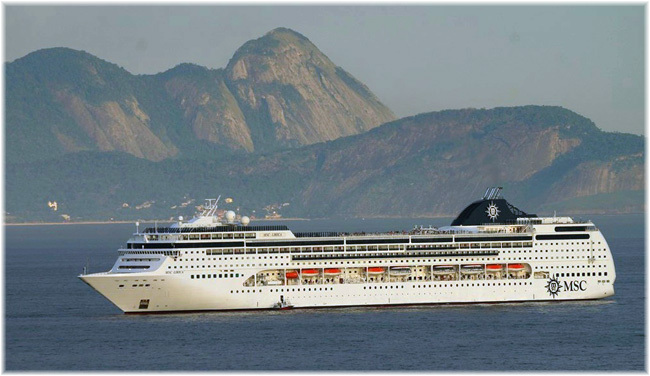 The terminals in Santos and Rio de Janeiro are usually considered the best and the Rio terminal was recently refitted for the Olympic Games, when Silversea’s chartered 296-berth Silver Cloud was home the US Olympic Basketball team. There has been a 42% drop in the number of passengers boarding and disembarking at Santos, when compared with the previous season. In 2015/2016, there were 700,408 passengers. This season, the forecast was for only 409,796 passengers. Royal Caribbean International has announced it will be returning to New Orleans with a seasonal home-based ship in late 2018. The 2,000-berth Vision of the Seas will sail 7-night itineraries to culture-rich destinations across the Bahamas and Yucatan from New Orleans’ Julia Street Cruise Terminal, departing on Saturdays. 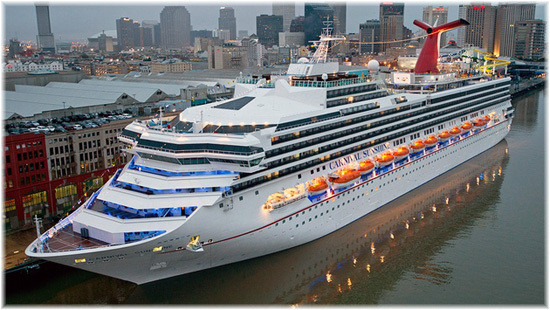 New Orleans handled 1,070,695 cruise passengers in 2016 and ranks as the sixth-largest cruise port in the United States, with direct industry spending of $406 million in Louisiana. New Orleans is becoming more accessible for international visitors with direct air service from London by British Airways, Frankfurt by Condor and Panama by Cobra, and there is a sizeable drive-in market from the region as well. In 2016, New Orleans broke all previous records by attracting 10.45 million visitors from around the world. Before repositioning to New Orleans on December 15, 2018, Vision of the Seas will offer two 16-night sailings through the Panama Canal from Miami to Los Angeles and from Los Angeles to New Orleans – marking the first time in three years a Royal Caribbean cruise ship will have transited the Panama Canal.